or type "live" or "live" with boot options to boot in refracta mode. where can i get the iso? versions older than 1.1 are not recommended, but are available on the archive for whatever reason you like. what is the point of fig os? * automatically generating a distro (an .iso) from a script. why did you break the ping scripts? first of all: because i can. now fixpings isoname "ping" "baseping" "/mnt/mkrefpup/unsq/squashfs-root/usr/local/video_upgrade/video_upgrade_wizard"
now fixpings isoname "ping" "baseping" "/mnt/mkrefpup/unsq/squashfs-root/usr/local/petget/devx_service_pack.sh"
now fixpings isoname "ping" "baseping" "/mnt/mkrefpup/unsq/squashfs-root/usr/local/petget/service_pack.sh"
now fixpings isoname "ping" "baseping" "/mnt/mkrefpup/unsq/squashfs-root/usr/local/yassm/yassm-search"
now fixpings isoname "ping" "baseping" "/mnt/mkrefpup/unsq/squashfs-root/usr/local/apps/pnethood/pnethood"
now fixpings isoname "ping -4" "baseping -4" "/mnt/mkrefpup/unsq/squashfs-root/usr/sbin/Pudd"
now fixpings isoname "ping -c" "baseping -c" "/mnt/mkrefpup/unsq/squashfs-root/usr/share/alsa-base/alsa-info.sh"
now fixpings isoname "ping" "baseping" "/mnt/mkrefpup/unsq/squashfs-root/usr/sbin/getflash"
now fixpings isoname "ping" "baseping" "/mnt/mkrefpup/unsq/squashfs-root/usr/sbin/check_internet"
what the mods do is move the functionality from /bin/ping and /bin/ping6 to /bin/baseping and /bin/baseping6. so if you copy or link ping ang ping6 to those places, you should be pinging again. why dont you collaborate/discuss with other devs and users? im quite happy to. so far none of the puppy devs have complained. where can i offer suggestions and ask questions? in this thread, or if its relevant: on the "favorite puppy features" thread: http://www.murga-linux.com/puppy/viewtopic.php?t=107529 or wherever you like. where can i learn more about the fig language? if youre running fig os, most of the contents of the mirror are already in your home folder. I think it would help to give a little more info. Having seen your posts in Programming, I guessed it was a fig script, so ran it through that first. It seemed to work ok, and downloaded everything, but just ended up with a 265mb ISO at /mnt/mkrefpup/unsq/rpup.iso. All the 'bits' seem to be there in /mnt/mkrefpup/, but something is going wrong with the iso building part. The 'newiso' directory has all the puppy files, but the 'live' directory is empty. thanks for the feedback and bug report, i wasnt sure how this would work for other users. my guess is that i manually mounted the refracta iso in /mnt/mkrefpup/refracta or worse, /mnt/refracta, and need to add that as an automatic step. a patched version that may work (i will probably report on that before you do) is included in this post. yes, quality-wise that is abhorrent, although the project is about 24 hours old. i really appreciate you trying it out and reporting this bug. sorry about that-- it does seem like you did everything right. refractahrpup is mostly a proof of concept, although im running it (as i type this) from dvd. adding isohybrid to the script would make the iso dd'able to usb. it seems like this project from a few years ago: http://murga-linux.com/puppy/viewtopic.php?t=57037 is similar, and still in use, as far as proof-of-concept is concerned. thanks again. # # # # ! ! ! ! pwd "pwd" arrshell join pwd ""
version 0.4 is the first version that edits the sfs for refracta mode, making it possible to puppify devuan-- one of the primary goals of refractahrpup. as a demo, refracta now shows the puppy wallpaper. version 0.4 is also the first version to remove files from the refracta sfs, cutting out a lot of locale data to keep the iso under 1gb. now "sed -i 's/\/usr\/share\/backgrounds\/refracta\/milky-1280x1024-p4-redo.jpg/\/usr\/share\/backgrounds\/xfce\/default.png/g' "
will this break those scripts? probably. can they be edited further to work without ping? probably. will there ever be a remaster that makes everyone happy? probably not. but this one can make it trivial to turn this sort of thing on and off before the iso is a dvd or usb. per suggestions from both the puppy community and a refracta dev, this is now called fig os. a note of thanks to those who have supported this so far. you know who you are its much appreciated. How do you know this? Did you look at the code to see what purpose the pings were serving? Did you collaborate with the author before breaking his program? 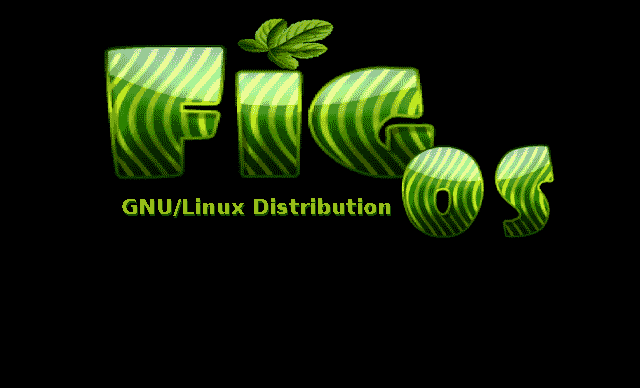 * i used fig os in puppy mode for about a day, and it worked fine. like any new derivative, it needs more users to find out how reliable it is. COPYING THOSE TWO FILES WILL COMPLETELY RESTORE THE PING SCRIPT FUNCTIONALITY. im sure theres a variety of ways this can be done as a feature, but i personally prefer the ping scripts off by default. so do the other users (no, not just one) i did this for. and thats the only change that was made to the scripts. want to see the part that does it? Why does he have to collaborate with anyone? He decided to create a project and set his own parameters and does warn potential users that it may break a few things. It is then up to each potential user to decide if they want to try it or not. This is Linux, free Linux, free to do with it what you like. Don't like it? no problem don't use it, it's called freedom of choice. its actually a ridiculous question if he knows the history of the decision-- because any attempt to collaborate on this was forcefully shut down. even bans were called for. so collaboration was not a real option even if i wanted to. no matter how i try to talk about something else, people come and blame me for keeping this going. i tell them its fixed, no need to talk about it-- they tell me people should be banned for talking about it. then they come here and talk about it some more. but its important to point out that (since there is nothing about it mentioned here) rcrsn51 may have missed all that fun... i dont want to assume, so i might as well answer the question. as for the external ip script, hes right. and you pete, can probably guess what id like to do with that feature. in fact i should check it for wgets and things. How dare you mess with sacred code and propose progress. you know, im just trying to show how it can be edited-- to the people that dont want it in their iso. im not uploading it to puppylinux.com, im not writing over the online copy of puppy tahr. ive even made it very easy to turn back on. this whole debacle is about defaults. tahr is a fine pup, i already said so. but there are things you cant customize without p*ssing off half the town. funny because i take no issue with someone editing the part of mkfigos that edits the part of tahr-- go right ahead! thats honestly what its there for. What is so discourteous about changing someones code that is open sourced without first asking them provided credit is given? If I write some code, open source it and release it, people can do with it what they like except claim that they originally wrote it. Learnhow2code never claimed it as his own, he simply modified it to suit his needs and made it available again. Where is the problem in that? im glad the puppy community has such a diverse culture. apparently its neatly divided between people who think i shouldnt edit the scripts without talking to the devs, and people who think the devs shouldnt be bothered about it-- not only that, but that talking about it should result in a ban. what kind of catch-22 version of "open source" is this? however, this is all about people electing to speak on behalf of the devs... it would be better if the devs would simply contact me-- since several people seem to have an issue with me contacting them over this.